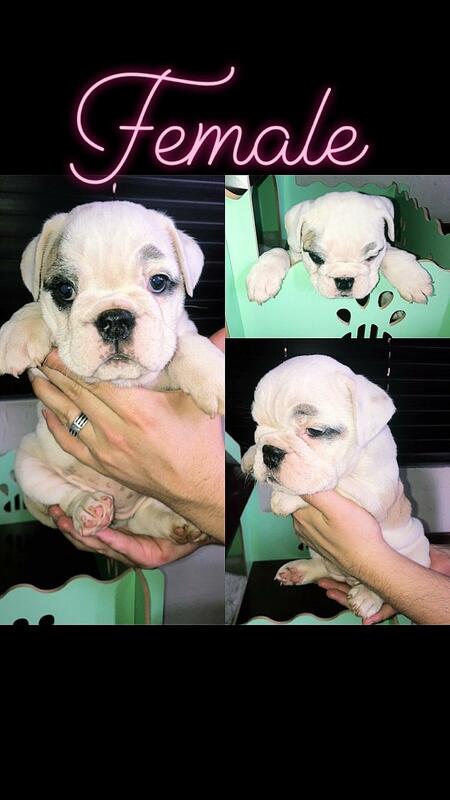 We are selling these beautiful little english bulldog puppies. There are 4 beauties left to choose from, each with their own beautiful personality! They are extremely good with kids and other animals! Arrange a viewing at any time that suites you! !